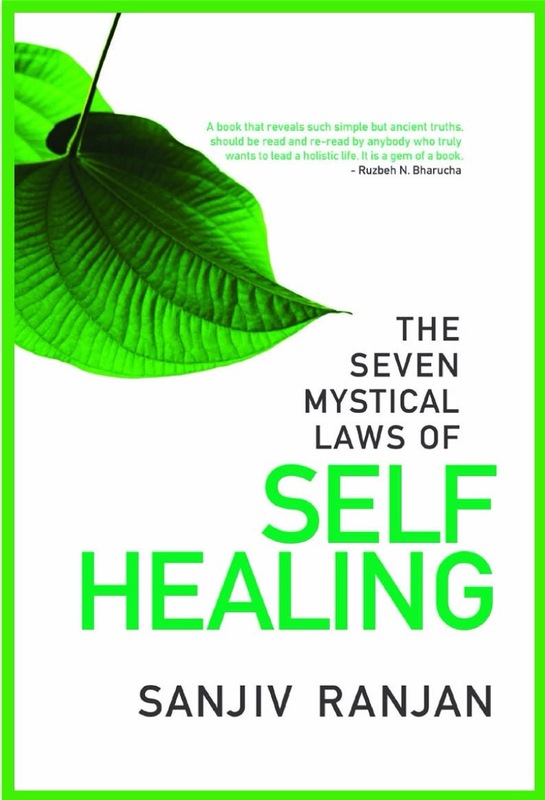 I Can Heal Myself in 7 Days is Dr B K Chandra Shekhar’s key to unlocking the universal healer, this Invisible Doctor, within us. It is a testimony to his own proven journey from cancer, hepatitis-C, and diabetes to perfect health. It is a simple step-by-step, practical guide in Rajyoga and psycho-neurobics, taking one through thought, chakra, and mudra to a world of vibrant health, even from the most debilitating of diseases. Gift yourself 7 days of complete transformation. This entry was posted in Alternate healing, Alternative Medicine, Alternative Therapy, Body Healing, body mind, body mind programming, body-mind-spirit, Book, Book Read, Book Reading, books, cancer, Chakra, Chakra heal, Chakra healing, Colour therapy, Conversational Programming, cure, Disease, Good Reads, heal, Heal body, heal cancer, Heal pain, heal self, heal terminal disease, Heal thy self, Heal your soul, Heal yourself, Healing, Health, health management, health manual, healthy life, Healthy lifestyle, holistic, Holistic healing books, Invisible doctor, Life Positive, Life Positive Publications, mind healing, mind-body-spirit, Mudras, neurobics, positive life, psycho neurobics, rajyoga, Read, Read a book, Reading, reading a book, self heal, Self-healing, soul cleansing, Soul Healing, Sound therapy, spiritual, Spiritual Books, spiritual healing, spiritual read, spiritual reading, Spiritual reads, spirituality, Teach chakra healing, Teach chakras, Teach healing, therapy, total wellness, Uncategorized, wellness, wellness manual and tagged acupressure, Acupuncture, Ayurveda, b.k.chandrashekhar, Book Reviews, buddha, chakra healing, chakras, colour therapy, Community, Compassion, cure, cure all disease, cure cancer, Depression, enlightenment, fight cancer, fight disease, God, heal your chakras, healing, healing through chakras, health, healthy life, Holistic Recipes, Homeopathy, invisible doctor, life, meditation, Naturopathy, neurobics, Past Life Regression Therapy, Personal Growth, Positive Chronicles, psycho neurobics, rajyoga, Reiki, Seeking, sound therapy, spiritual healing, stress, sunlight therapy, yoga on 14/03/2015 by lifepositivepublications. fear is a function of the unconscious mind. This entry was posted in Alternate healing, Alternative Medicine, Alternative Therapy, Body Healing, body mind, body mind programming, body-mind-spirit, Book, Book Read, Book Reading, books, cancer, Chakra, Chakra heal, Chakra healing, Conversational Programming, cure, discover yourself, Disease, Enlightenment, Good Reads, heal, Heal body, heal cancer, Heal pain, heal self, heal terminal disease, Heal thy self, Heal your soul, Heal yourself, Healing, healthy life, Healthy lifestyle, hliday reading, holiday read, holiday reading, holiday reads, holidays reads, holistic, Holistic healing books, Hypnosis, hypnotherapy, Inspirational Books, Life Positive, Life Positive Publications, Manifestation, meditation, Mentor, mind healing, mind-body-spirit, mystical laws, mystical laws for self healing, mystical laws of self healing, positive life, psychotherapy, Read, Read a book, Reading, reading a book, self discovery books, self heal, Self help, self love, Self-healing, seven mystical laws, seven mystical laws of self healing, soul cleansing, Soul Healing, spiritual, Spiritual Books, spiritual healing, spiritual read, spiritual reading, Spiritual reads, spirituality, therapy, theta healing, total wellness, Uncategorized, vacation read, vacation reading, vacation reads and tagged #affirmation, #cure yourself, #hypnosis, 7 laws of life, burn calories, burn food, cells, disease, genes, good diet, good life, heal your body, heal yourself, healthy life, healthy self, hypnotherapy, inner self, kill disease, laws of life, live a healthy life, meditation, mystic, psychotherapy, sanjiv ranjan, self healing, self healing books, self help books, self love, seven laws, seven laws of life, seven mystical laws, seven mystical laws of self healing, theta healing, weight loss on 09/03/2015 by lifepositivepublications.